The sun is out and we have an extra long weekend coming up – as it’s a UK Bank Holiday on Monday 6th May. 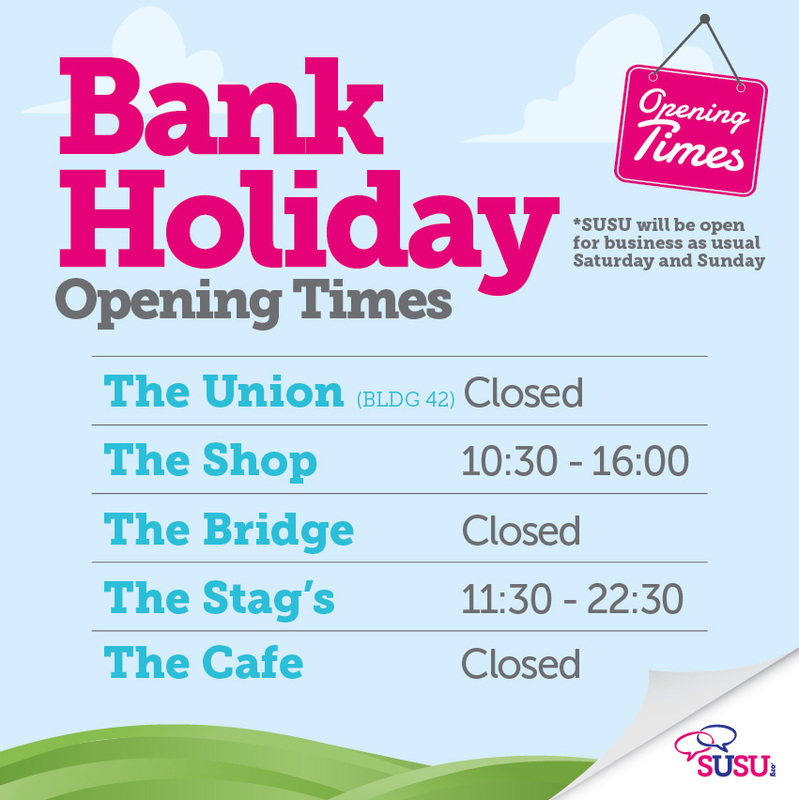 This means that The Café, The Bridge and The Union (Building 42) will be closed on Monday, but The Shop & The Stag’s will be open. Services and outlets will be open as normal on Saturday & Sunday. 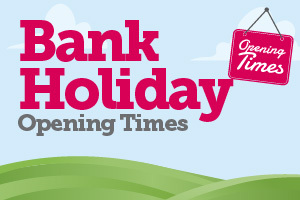 Look out for Opening Hours for a second Bank Holiday coming later this month – on Monday 27th May.